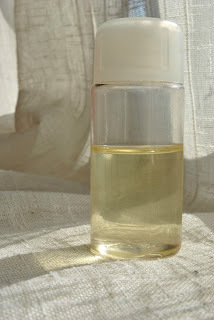 This little bottle may not be much to look at, but it's been my skincare secret and saviour for a number of years now. Since my early teens I'd had pretty bad dark circles, and I tried countless concealers and moisturisers to combat them. When nothing seemed to do the job I started looking into natural remedies, and this is when I discovered almond oil. After a bit of research I found that many people swore by it to help with their dark circles, and since it was inexpensive I thought I'd give it a go. All of these people couldn't be wrong, could they? So, I popped into Boots and picked up a bottle (which now retails at £1.59 for 50ml). That night, I applied the oil to my under-eye area, excited to see the results - and I didn't get disappointed. It took a couple of weeks before I noticed any changes, but sure enough my dark circles reduced! They faded gradually as I continued to apply the oil every night, and within 2 months they had lightened by about 40%-50%. After spending out on various eye creams this was a relief - an effective treatment that doesn't cost an arm and a leg! Plus, being a natural product, there are no nasty chemicals to be seen. Now, a few years later, my dark circles are a million miles (or rather, shades of blue) away from what they used to be, although part of that is thanks to major improvements in my diet and lifestyle. Nonetheless, my skincare regime wouldn't be complete without almond oil, and having been so impressed with how it helped with my dark circles, I decided to experiment. I had some scarring on the backs of my arms which I had tried to reduce through moisturising and exfoliation, but to no avail, until one night it occurred to me that maybe almond oil would be the answer. So, I went ahead and began to massage a few drops onto the problem area every night , and sure enough the scars reduced. It's been about a month now and the marks have faded a considerable amount, to the point that they're barely noticeable. I've also tried it out on blemish scars and (no surprise) it's been successful. I really can't rave about this stuff enough. I would recommend it to anyone who has any scarring/dark discolouration on their skin that they would like to lighten - this stuff works wonders. Simply put a couple of drops on your finger tips (the bottle you see above isn't the bottle the oil came in - this was just a small travel bottle I bought in Boots which has a small hole in the top, allowing me to take a single drop of oil at a time) or dip your fingers into the oil and massage onto the area of concern. I would only really recommend doing this at night time as it does feel oily on the skin while it sinks in, but you should still see amazing results only applying it once a day. And hey, if after a month or two it isn't working for you, you can always cook with it or use it as a hair mask! Like I said, Boots sell almond oil at £1.59 for a 50ml bottle. I know 50ml doesn't sound like much, but it will last you for a very long time - I filled my small bottle quite a while ago (I think it was towards the end of last year) and as you can see there is still plenty left, and there's about half of the original bottle left too. That 50ml will probably last you between 1 and 2 years, depending on how much you use and how often.